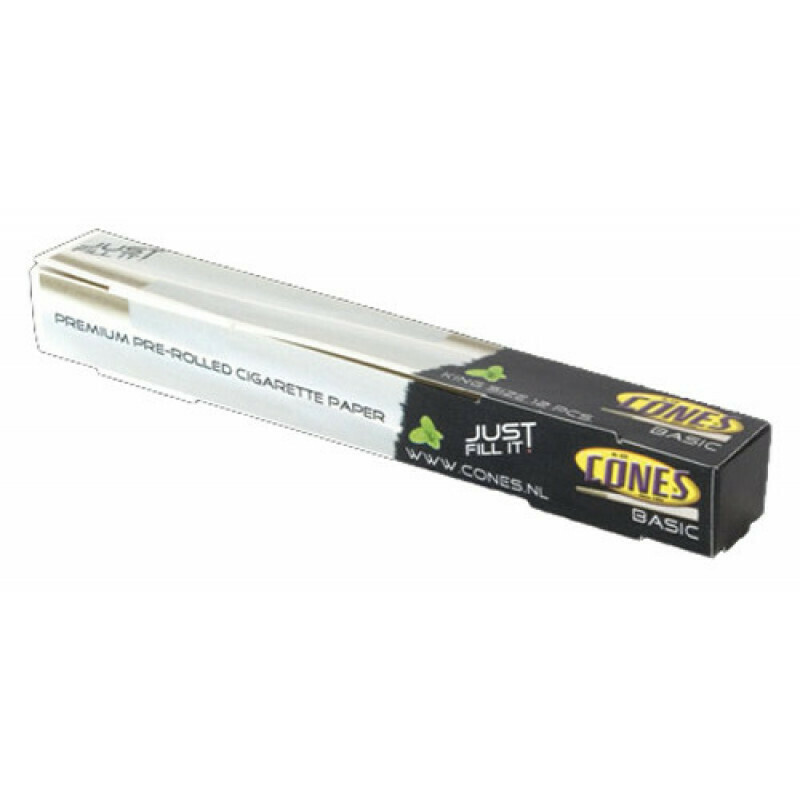 Joint Cones eliminate hassles associated with rolling up. Joint preparation is fast and the user does not have to worry about poor rolling conditions such as wind when rolling outdoors. Ideal for people that don’t know how to roll a joint (yet). Mix your herb an tobacco in advance and pour it in the cone. Give it a little tap and you’re done. These cones are 109 millimeters long and 12 millimeters wide (at the widest end). This box contains 12 cones.